A long time ago in a galaxy far, far away it was used to blow up entire planets. 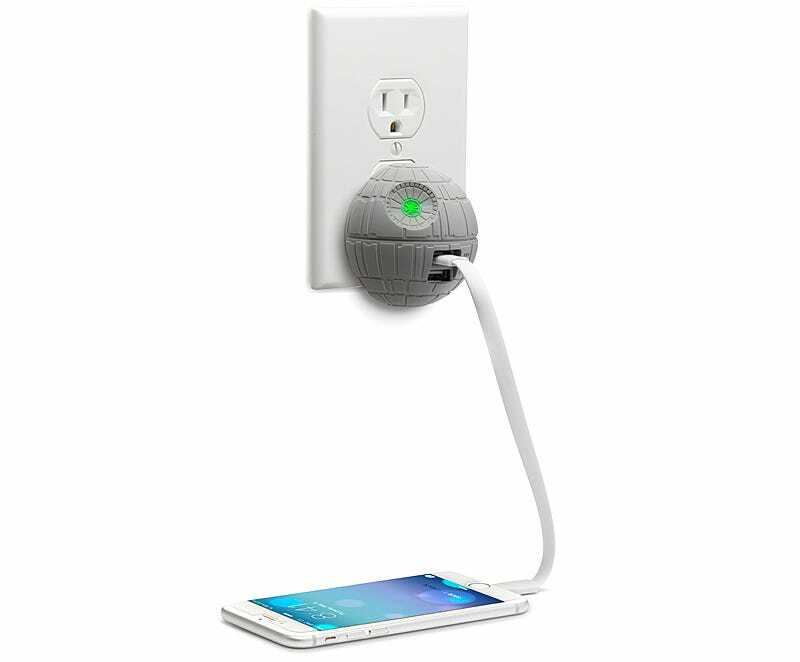 But years later the Empire isn’t what it used to be, and the Death Star is now just the ultimate way to charge your mobile devices as a USB wall adapter. Available exclusively from ThinkGeek, the $30 Death Star USB Wall Charger comes with two USB ports—one 2.1A and one 1.0A—so you can charge a tablet and a smartphone at the same time, depending on their power needs. A green LED in the center of the Death Star’s superlaser focus lens lets you know when the charger is getting power, but don’t worry, it never gets bright enough to incinerate a world. There’s bad news for anyone outside the U.S., though. Due to licensing issues, ThinkGeek unfortunately can’t ship this one internationally, or extra-terrestrially.